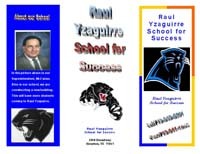 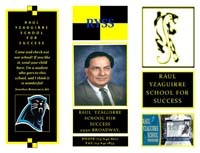 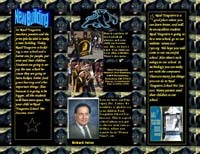 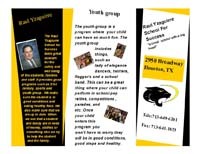 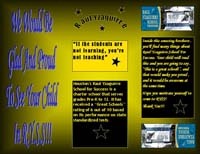 Eighth grade students at Raul Yzaguirre School For Success [RYSS] used Microsoft Publisher 2007 to create 8 1/2" X 11", two-fold brochures to promote their school. 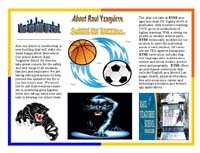 They utilized the school's website to collect information, then worked with this copy [text], their own words and pictures to put together these promotional publications. 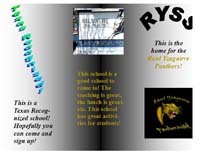 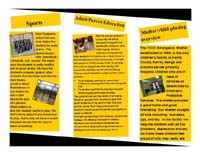 The brochures seen online are a selection from the 8th grade class. 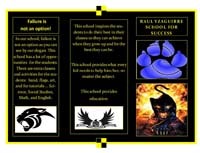 They show the inside and outside, three panels per side. 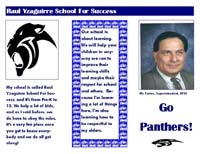 Printed samples will be shown to the Superintendent for him to consider utilizing a student-generated publication to present the school to the community. 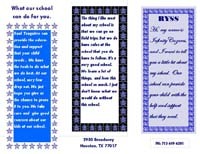 Click on thumbnails for larger versions. 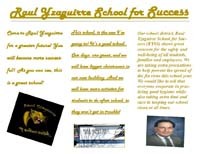 Note: pictures and logos downloaded from the Internet strictly for educational purposes.